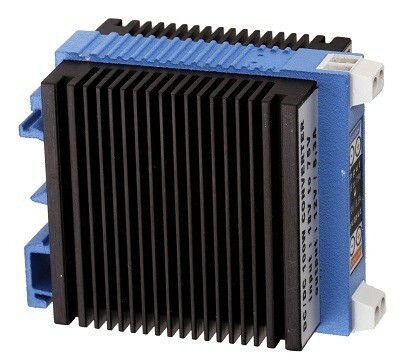 Very high efficiency: up to 95% (depending on models). 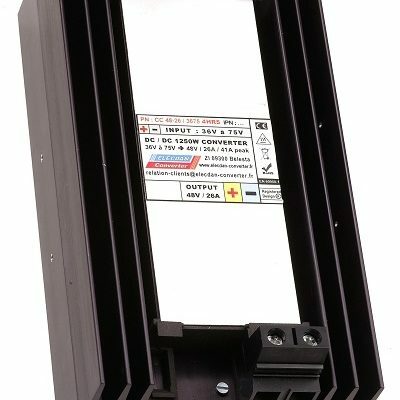 Ready to install, with various box presentations available to directly fit: on DIN rail, on wall, or on printed circuit board. 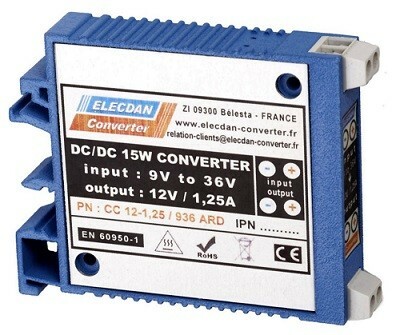 Do you hesitate between “isolated DC-DC converter” and “non-isolated DC-DC converter”? 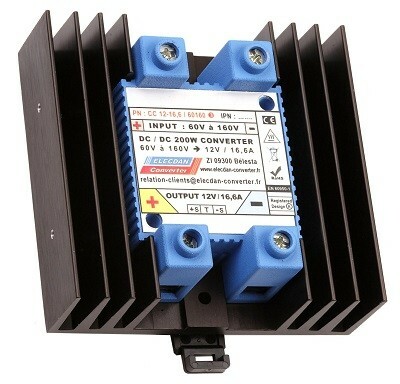 Discover the benefits of non-isolated converters. If an isolated converter is required, we offer a wide range of power ratings ranging from 15W to 1250W for input ranges from 9V to 1000V. 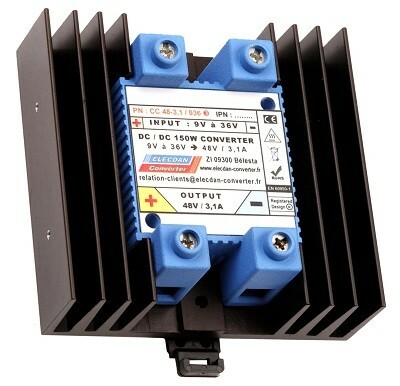 We also realize customized DC-DC converters, according to your specifications. Prototype within 8 days. 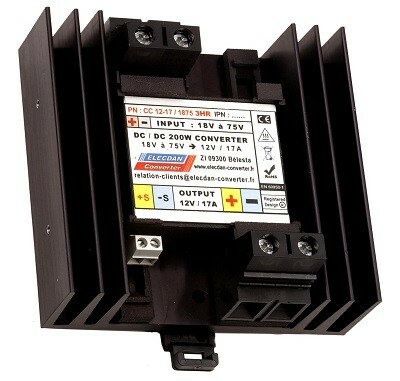 Available too, upon request: controllable converters. 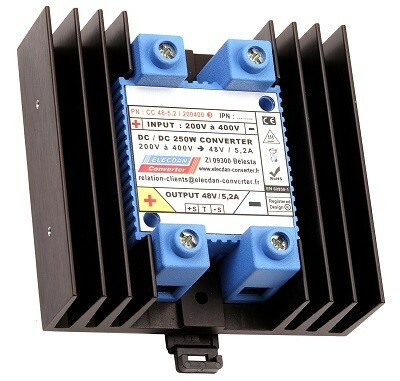 See for example our 320W isolated DC/DC converter, controllable from 0 to 32V. 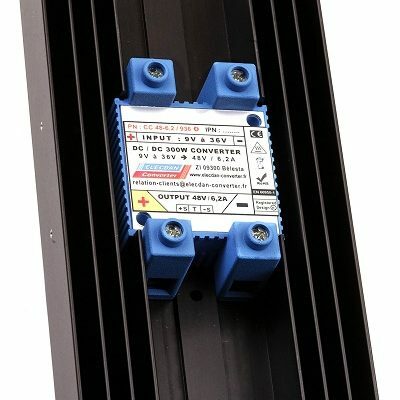 The DC-DC converters in these last 3 lines (grey) are particularly suitable for wind energy and solar photovoltaic systems.